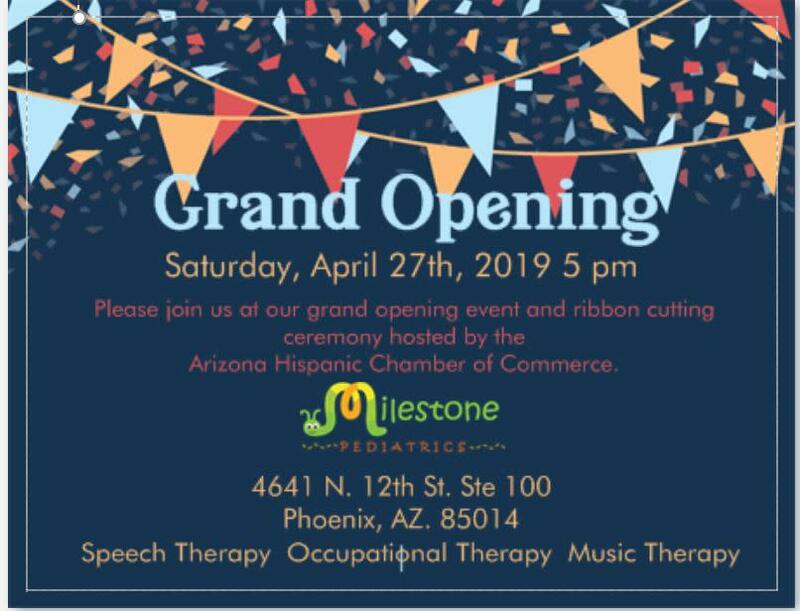 Please join us at our grand opening event and ribbon cutting ceremony. 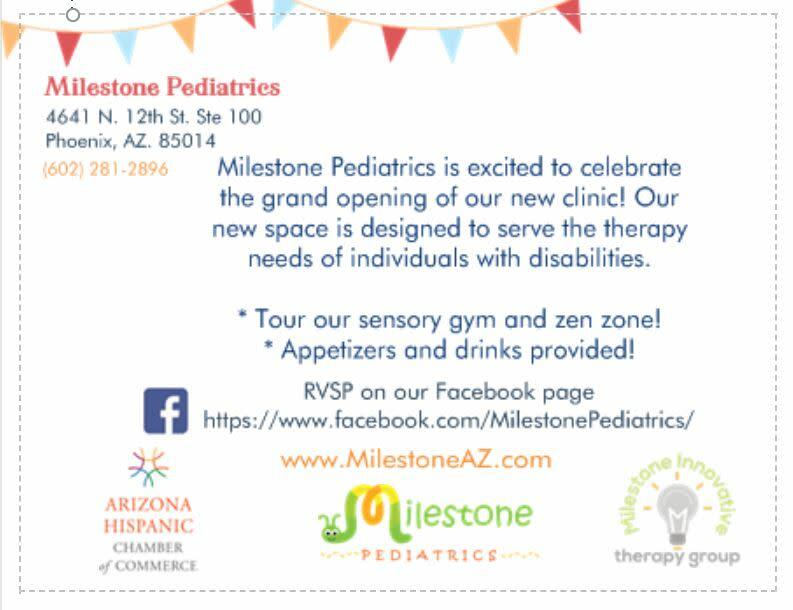 Milestone Pediatrics is excited to celebrate the grand opening of our new clinic! Our new space is designed to serve the therapy needs of individuals with disabilities. *Tour our sensory gym and zen zone! *Appetizers and drinks provided!